Two things that completely freak me out – dolls and taxidermy! Yuk! And this book has both, in abundance! 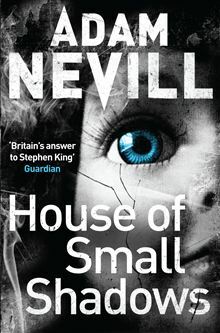 I saw a review of this in the Metro and so decided to give it a try – I hadn’t heard of Adam Nevill before, and comparisons to Stephen King of course got my attention. And I was really pleased that I enjoyed this story so much; I read it in one sitting, staying up till way past my bedtime! thank you , I am going to put it in the kindle cart now!